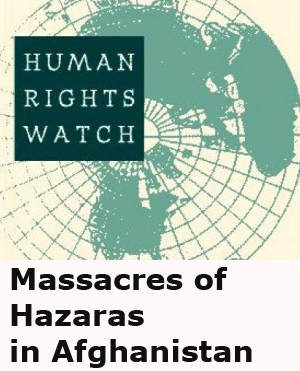 • Attacks on peaceful Hazara protests, for example on July 23, 2016, a bloody attack on the peaceful protest of the Hazara Enlightenment movement killed and injured over 400 in Kabul. 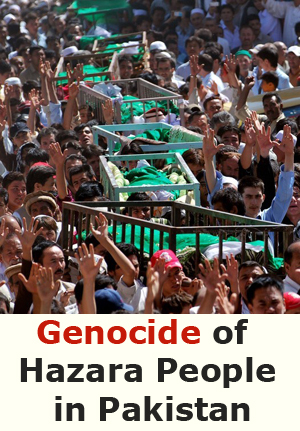 • Oppressive actions by the government against the Hazara Enlightenment movement including refusal to provide security for its gatherings and protests, isolating and blocking roads at protests, censoring, threatening the movement’s activists with detention, and firing on them from public institutions. 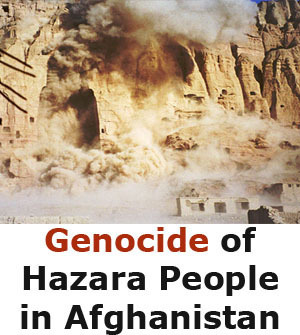 • Using terrorists to obstruct Hazara travel by abducting, torturing, killing, and beheading them, including children and women. This has made the secure passage of Hazara impossible on nearly all roads in Afghanistan. • Organizing war crimes including bloody attacks on Hazara religious and non- religious gatherings in major cities like Kabul and Mazar i Sharif. 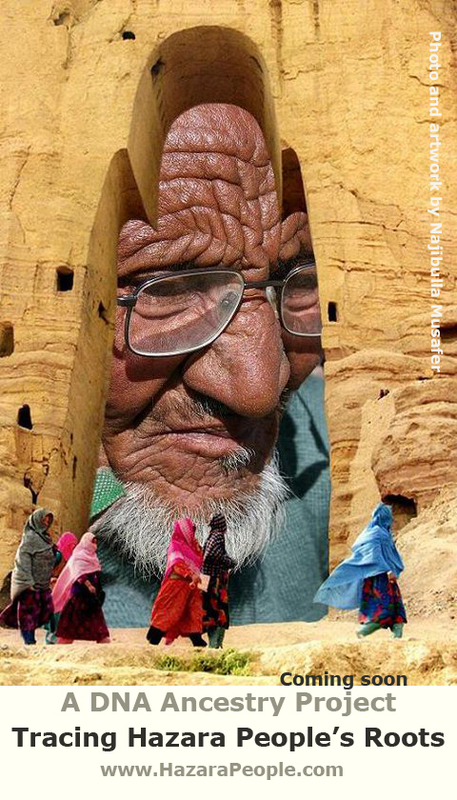 • Allowing attacks on Hazara villagers by armed Pashtun nomads who have full government and Taliban support. 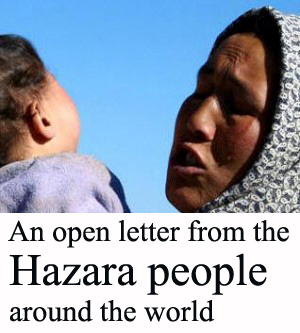 • Allowing organized attacks on Hazara activists, artists and writers. 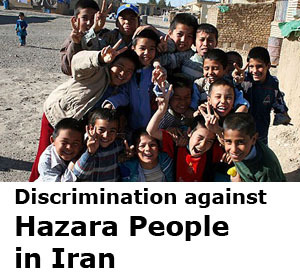 • Systematic discrimination against the Hazara in public institutions and governmental offices. • Marginalization of the Hazara by depriving them of fulfilling careers, and allowing them only manual labor jobs. Hazara make up less than 5% of those employed in public institutions and governmental offices. • Driving frustrated and hopeless young Hazara to drug addiction. • Allocating less than 2% of the national budget to Hazara areas. • Posting of Hazara soldiers and officers to the most dangerous parts of Afghanistan. • Afghan government agreements with western countries for forced deportation targeting primarily Hazara asylum seekers. .
• Carla Christopher , poet, U.S.A.
• Neeli Cherkovski, poet, U.S.A.
• Dan Taulapapa McMullin, poet and artist, American Samoa & U.S.A.
• Jack Hirschman, poet, U.S.A.
• Jack Foley, poet, U.S.A.
• Rafiq Kathwari, poet, Kashmir, U.S.A.
• William Allegrezza, poet, U.S.A.
• Diane Lefer, poet and fiction writer, U.S.A.
• Richard Krawiec, poet, U.S.A.
• Joy Harjo, poet, musician, writer, performer, U.S.A.
• Teresa Mei Chuc, poet, U.S.A.
• Eduardo Llanos Melussa, poet, Chile. • Piccolo, poet and editor of the literary journal lamacchinasognante.com, U.S.A.